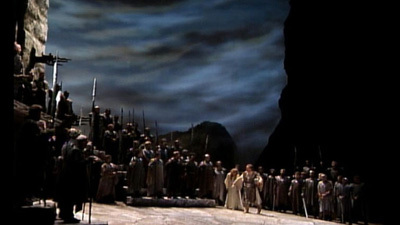 This is the stunning conclusion to Wagner’s monumental Ring cycle and one of the most searing of all operas. 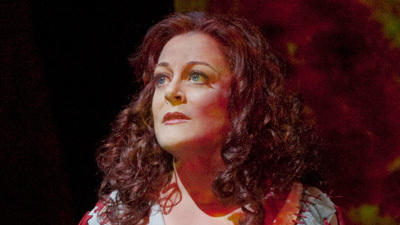 Siegfried (Stig Andersen), his memory erased by a magical potion, betrays his beloved Brünnhilde (Jane Eaglen) and is murdered by the conniving Hagen (Eric Halfvarson). In the cataclysmic final scene Brünnhilde literally sings the world away, the Rhine overflows its banks, the gods are destroyed by fire, and the Rhine maidens finally get back their magical gold. The Met Orchestra and Chorus are thrilling.